Is your current printer old, slow or just expensive to run? 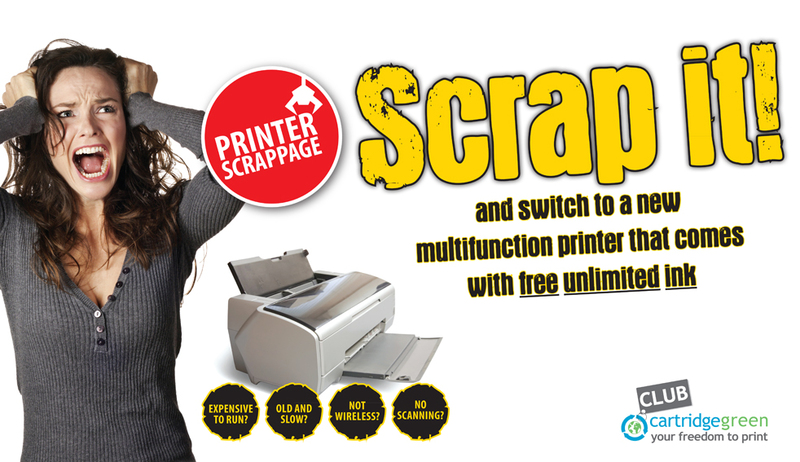 Well now you Scrap It and switch to a new multifunction printer that comes with Free Unlimited Ink. Simply bring your old printer into your local Cartridge Green store and chose the new printer that you want to replace it with. The new printer comes with the Total Freedom package that gives you free unlimited ink for an entire year!